My advertising poster for Steve’s talk. Now you can listen – especially as I’ve sorted the interface out properly! 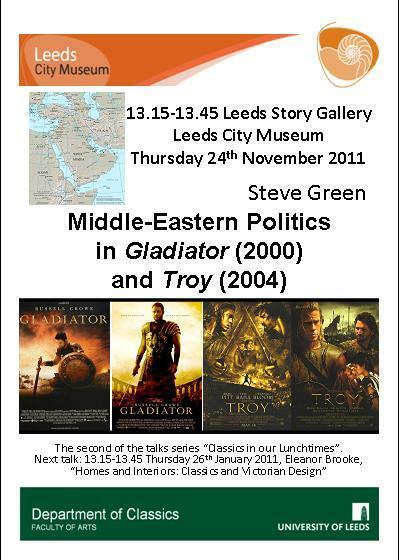 – to Steve Green on “Middle-Eastern Politics in Gladiator (2000) and Troy (2004)”. A technical hiccup resulted in a slightly stilted beginning and a couple of comments on the poster disappearing, but we hope that won’t detract from your enjoyment. We also owe a great debt of thanks to the Museum’s technical staff for sorting it all out in record time!